"MILITARY ON THE BORDER: APPROPRIATE RESPONSE TO A CRISIS: How does a house stand without walls?" 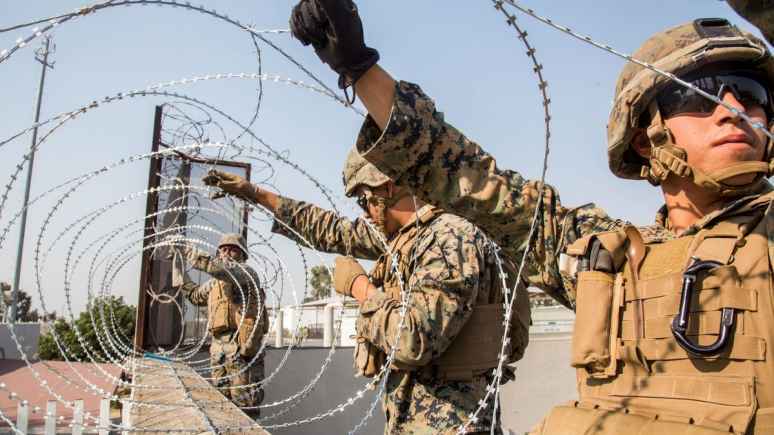 My article for FrontPage Magazine today is predicated on President Trump’s decision to send additional military troops to help secure the dangerous and highly porous U.S./Mexican border and the derisive comments of both the mainstream media, globalists and Democrats who insist that there is no crisis on that border. Awhile back Bill Clinton attempted to redefine the term “Is”- now it would appear that the term “crisis” is open to debate by the leaders of the Democratic Party and their fellow globalists. Every day that our borders remain open to the illegal and un-inspected entry of cargo and aliens provides terrorists, criminals, smugglers and human traffickers with unfettered access to the United States endangering innocent lives and national security. By any rational standard, that situation most certainly constitutes a crisis! Previous Previous post: "CHINESE AGGRESSION AGAINST THE U.S.A. / Far more than trade is involved." Next Next post: FACT CHECKING THE “FACT CHECKERS" ON ILLEGAL ALIENS: “Outing” Orwellian fake news.